Welcome to the Publix complaints department brought to you by HissingKitty. Experienced poor customer service? We make it easy to file a formal complaint against Publix online. Simply use our free form and your feedback will be instantly forwarded for review. Need to contact the Publix corporate office? We have the mailing address, phone number, and email address listed below. Store #1041 in Boynton Beach continues to be a disaster. The store is poorly stocked, and they never have enough people working there. Every time I go in there, they are missing at least 2-3 popular items. Last time it was Safeguard soap. The store manager happened to be standing in front, and I asked him about it. He said they hadn't had it for several weeks because they had stopped making it. Think about that for a moment: this guy looked and me and told me, with a straight face, that Safeguard had stopped making soap. A store manager, not an assistant. Their motto is: "If you want it, we don't have it---and we don't care." On March 27 I submitted a complaint and I forgot to include the store number. I have a right to an explanation!!!!! FL. After 1 week of not hearing and checking the phone line only to discover there was no record of my request. I then phoned in another request and left a message for the pharmacist telling him this was a duplicate request. After 2 days I went into the store and spoke to someone who said my request for one of the refills was denied. BY PUBLIX. The drug Publix was denying is a drug that my husband has been taking for several years. Part D Medicare covers this drug. The prescription is from a Specialist. After a pharmacy tech called Corporate Publix to find out why they were denying a refill that they have been filling for 2 years, Corporate Publix agreed to fill the remaining refills. My question is - who is Publix to scrutinize what drugs a doctor prescribes. This drug is not an addictive drug. What gives some person in corporate the right to look into our drug history and decide what drugs we can and cannot take? Talk about intrusive! This is so wrong. Of course we will be transferring our business to Walgreens. Who do you think you are to do this? Lack of adequate supply of weekly advertised specials. Each week there continues to be an ongoing problem as the stores do not carry a adequate supply as to the weekly specials. This week it is the Lemon Meringue pie that was not available during my shop at 9:00 am on Friday, March 22nd. There is always an excuse given for why the product is not available and as always the customer is expected to make an unnecessary trip back to the store. Well, I am not willing to make an unnecessary trip due to incompetence. This constitutes false and deceptive advertising as the sale literally started on March 21st. After shopping Publix since 1963, it is clearly apparent customer service is at the bottom. Surely, George Jenkins would be disgusted at today's Publix where shopping is a true displeasure. For the record, both your stores at Pine Lake Plaza and Pompano Plaza have employees that are incapable of performing their jobs including the managers who are rude and abrasive at Pompano Plaza and another who is never on site at Pine Lake Plaza when there is a customer problem. To state I am fed up and disgusted with Publix does not adequately define it. I started using Publix several years ago and my first problem was when an incorrect drug was given to me. I was supposed to get Methotrexate tablets but instead I was given a diuretic (name began with an M, currently cant recall) They gave me the diuretic with dosages for the methotrexate which was 5 tablets at one time, once a week. They blamed my doctor but I would think a pharmacist would be able to look at a dosage of 5 pills at one time every week and know that it could not have been a dose for a diuretic. Fortunately I am a PA and I caught it before I took the dose. I decided, however, to give them the benefit of the doubt. Everybody makes mistakes and I was not harmed. I continued to use Publix because I thought it would be less likely they would make another mistake like that. My next complaint happened about a week ago. My doctors office sent my usual prescriptions via fax? to my pharmacy. 2 of the three, prednisone and lisinopril were filled but they said they didn't receive the third prescription, Tramadol. I called my doctors office a couple of days later ( I still had a few days of meds left) and they said they sent it and had the fax confirmation but would re-send it. I called Publix the next day and they said they still didn't have it. That was after my doctor office said they sent it twice. It was Friday afternoon and my doctors office was now closed. That day I ran out of Tramadol and spent the next 2 and a half days, not only in pain from my autoimmune disorder but in withdrawals from Tramadol. It was so bad that it caused a flare up of my condition. On Monday I called the pharmacy again and they still said they didnt have it. I was getting ready to go to my doctors office to get a hard copy of the rx and I got a text from publix that my prescription was ready. I havent been able to sort out what happened but my doctors office has never been a problem. The third complaint is that I was charged $63.95 for the prescription of 90, 50mg Tramadol. I have a Good Rx coupon at Publix and its advertised on the Good Rx site that the prescription should be $10.78. I think they took advantage of me because they could. The fourth complaint happened this week. My son is a type 1 diabetic and I went to get his needles. I gave the girl at the counter his name and birthdate and told her I needed Lantis needles. She came back with a box of 100 count box B/D 8mm needles and charged me $67.00 for them. I was shocked and didnt remember every paying that much for them but it was busy and so I paid and went on. Later, my son brought me a needle and said it wasn't what he had been using and asked if I could get the 4mm that he usually uses. I took the needles back to the pharmacy and because the box had been opened, they wouldn't take them back. I also found out that my sons insurance would have paid for them and for months I'd been paying the cash price and it wasn't even filed on his account. They had no record of the needles I had bought and paid for since I was having to pay the cash price. They gave me 2 boxes of the correct needles but since my sons insurance paid for them, I'm still out 67 dollars. I've always had insurance until I was stricken with an autoimmune disorder and have been unable to work. Now I cant afford insurance and I'm trying to navigate the system without it. I trusted my pharmacy and didnt check prices and didnt question anything. Now I find myself wondering how many times Publix Pharmacy took advantage of me. I plan to transfer all of my further business to WalMart now because I can no longer trust Publix. and said that is the price - and it was not! I was in a hurry on my lunch hour - I was mad but paid the incorrect price and left. on the casheirs belt and left the store. And he went to a competitor store. a few people complain about the policies in this store. not a happy Publix customer and I have lived in South Florida for over 30 years! Other competitors are looking better and better. sunday, today 1/13 about 12:15-12:30 I experienced prejudice treatment from michelle a cashier at the customer service/return desk. michelle ignored me as I waited to be helped and rang up a white woman who walked up to the counter long after I was there. michelle waited on the white woman first even through I told her I was next. as a black woman who has been shopping at publix for years I never mistreat people and I apologize if I do. michelle is rude and has a don't care attitude toward black people. clearly she doesn't like her job and is very prejudice. You may contact me at 941-376-7872. some alcoholic will problemly punch her in the face one day soon. 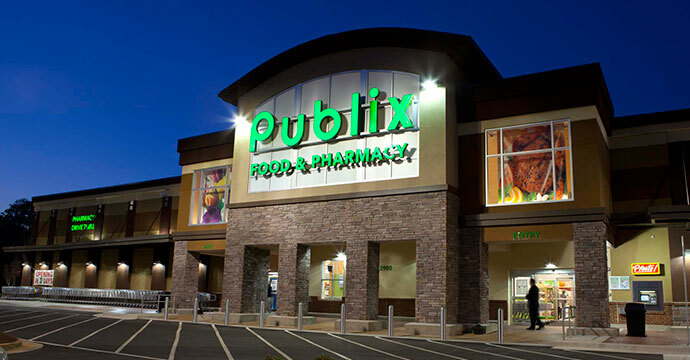 I shop at the Publix in the Plantation Grove Center in Ocoee, FL on Maguire Road. The store is poorly stocked and always seems to be out of what I'm looking for. Also, I have tried to special order some cookies that I have bought in other Publix stores but I have yet to get these special order cookies after four tries. I give the information at the customer service counter, they take down my name and phone number and tell me that the cookies should be available in a couple of weeks. I have never seen so many empty spaces on the shelves. I think this store is poorly managed and is far below what Publix customers expect. By the way, the cookies I have requested are the Voortman Iced Alomonette cookies. The store stocks the sugar free almonette cookies but not the ones with sugar. The store also stocks the stripped almonette cookies. I know that Publix sells these cookies because I have bought them at other Publix stores in Orlando. we purchased a publix store brand turkey for thanksgiving (2018) that contained only neck and half a gizzard,i had to go to nearby winn dixie on thanks day and buy a package of chicken hearts and gizzards to cook pot of annual home made gravy,VERY cheap by publix. please confirm email. customers. I told him there is a time to smile and chuckle and a time not to. You made the error , my health is in jeopardy and you smile and think this is a funny situation. So here we are I have no meds, they switched meds on me and not the same. Iron in brand name is 191 in substitute med 125 so not the same. The manager and I checked it together . I told the person on the phone what I wanted and the pharmacy took it upon itself to switch it when it is not the same equivalency . It is usually a special order. The error got me so upset I was crying and totally upset. I can not function my best when not getting enough oxygen. This disease is serious. Finally after about 2 hours of fussing the assistant said he'd call around to see if another location has it. What a blessing a Walgreens had the correct medicine. The assistant says can you drive there in 8 minutes they are closing. Now how ridiculous that question was of course I can't drive there in such little time. So I couldn't get it. So now the Publix pharmacy expects me to drive elsewhere and the cost was more money than Publix fee. Because of their mistake I am upset, got to drive elsewhere tomorrow and pay more money. This should not be . Why am I being penalized for Publix's mistake. Such poor customer service. Camilio never apologized ( not until I told him he didn't then he does.) The manager did not offer me a gift card nothing for all the stress an inconsideration they caused me. I am a new customer at the pharmacy and this is my first impression. Well the pharmacy failed big time as far as I am concerned. Publix expected me to drive elsewhere (they should have picked it up and brought it to their store for me ), expected me to pay more money until I complained and got the price worked out and rude disrespectful attitude of assistant. This is unacceptable customer care / service. The prescription was for 3 months but I only got one month from Walgreens. I phoned Camilo to inform him to put in the order for the other two months. He said he'll contact me when it arrives. I am hoping this part goes smoothly. If it doesn't you will be hearing from me. On Sunday 11/11/2018 I arrived at the Publix Supermarket at 5032 Capital Cir SW Ste 1Tallahassee Florida, around 7:45 am to purchase some items. Further, after picking-up a few items within the store, I walked toward one of the check-out counters to purchase them. Approaching the check-out counter, I saw only one young man (cashier) leaning on a display rack near the rear of a check-out line. However, as I approached the young man leaning on the display rack, he did not immediately greet me and just stood there looking at me as I did him. Finally, after about 5-10 seconds went by, the young man then asked me was I ready to check-out. I asked him "are you not open why you just standing there staring at me? "; he again asked me, " are you ready to check-out". In response, I said to him, "I'm a customer and you really need to act and move like I'm welcomed here". Additionally, while the young man slowly moved toward the register, and even while he’s' at the register, he preceded to justify to me in a conformational manner why he failed to provide reasonable, welcoming customer service to a paying customer. For the reasons, I then I asked to speak to the manager; the manger came over to the check-out line because she'd herd me complaining to the young man about the lack of customer service. Furthermore, while at the register the manager tells the young man to be quiet and finish checking out my items. To this end, I asked the manager for the district manager's contact information so that I could inform him/her about the extremely meager customer service I received this morning. While talking to the manager the young man interrupted our conversation. On balance, I informed the manager why I was upset, but she appeared not to understand my concerns regarding the type of customer service I'd just experienced. In closing, the young man was extremely rude, aggressive and displayed a posture disrespect. What exactly is the policy regarding the ten items or less lane??? I run into this issue all the time at several different publix stores.A person will have more than the ten items(most of the time well over 10 items),and when it is brought to their attention they either ignore you or will have something not very nice to say to you. The cashiers are told not to say anything to the customer.When a manager is made aware of this problem,they also to refuse to say anything to that customer.What then is the point of even having a 10 items or less lane if you are not going to enforce it?It's very frustrating those of us who use the express lanes correctly and cannot get any cooperation from Publix management! Either enforce this rule,or do away with it.No in between.It seems as though this should be an easy fix.Have the guts to say something or get rid of it all together.We are all so afraid to speak up when it is needed.This has to change!!! still waiting for assistance. I love your stores all over metro Atlanta. 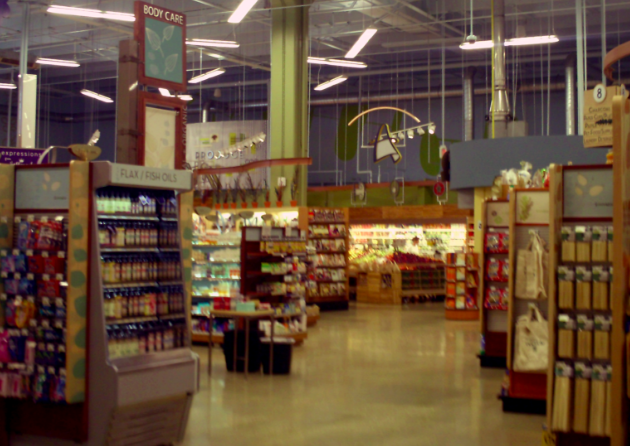 On Feb. 5th, I went into the Publix Pharmacy at the Publix on Hillsboro Rd., Franklin, TN. The man behind the counter did not want to wait on me for whatever reason. When he finally came to the register he was playing with himself. I tried to ignore his actions but he was not interested in helping me get the allergy medicine I was requesting. I requested that he order if for me as that is what is normally done and call when it comes in. He pretended to write my name and number down. Needless to say, I never heard back. So on Feb. 12th, I went back in to the pharmacy and the same man himmed and hawed but eventually waited on me. As he approached the register again, he started playing with himself again. Gross. As I suspected, he did not order my medicine and he quickly walked away. The pharmacist saw this and came to see what she could help me with. I explained to her what I was needing and that he was supposed to order it. She apologized on his behalf. I told her what had happened. She ordered it for me. I don't know what this mans problem is but he needs to keep his hand off his private areas while waiting on customers and when he does wait on someone, he needs to follow thru. Don't walk away in the middle of a conversation. I've shopped at Publix for 40 years and I am disgusted by this mans actions. On January 09 2018 on my way home I stop at river bridge shopping center Publix located at 6790 Forest Hill Blvd. Standing in line at customer service counter waiting to get fair tickets, no greeting no acknowledgment, manager(Joyette) was there looking very unhappy no smile instead she look at her watch every second. I been shopping at Publix for over 30 years and I'm very unhappy (associates are more friendlier), Publix is a great place to shop. Manager should be setting an example for her team. I have recently bought a gatorade from Publix, and there was clumps of something in it. I wouldn't like to say it was mold because that would be gross. But anyway if you can I would love it if I can get a refund or something. Should I call Publix customer support directly or write a letter voicing my concern to Gatorade HQ? I am writing in regard about an employee of Publix, he works at Publix 1700 34th st. N Saint Petersburg, Florida. He has been harassing a friend of my wife and I for the past 9 months, I am writing this because our friend can't. Her name is Flora Jean Jones, she left Del and has moved to Pa. since last Nov. he has been harassing her, text messages constantly and phone calls, a lot of it is being done on Publix. I am shocked and surprised that that no one has noticed this, he will text her sometimes up to 70 times a day on your dime.The authorities will not do anything because is in another state and we have tried blocking him but somehow he gets thru, this has went on long enough and I am demanding something. I expect that this type of behavior is not tolerated. I do have many text msg. from him that we have saved, I trust you will do the right thing and dismiss him. I'm switching to Publix, this is not a complaint about them. It's about Walmart. For the last two week the Walmart store in Merritt Island Florida has been having an air conditioning problem. I was there today and it was very humid and hot. So uncomfortable that I will gladly pay higher prices to shop at Publix where I can shop without sweating. When It fixed E-mail me and then and only then will I return as a customers. Also I am warning my friends on facebook about the problem, just letting them know it you go to Walmart your going to sweat. I had my doctor call in a prescription to my local Publix where expected to pick it up later that day. When I arrive at the store the pharmacist told me that they had never received a call or email from my doctor. This has happened before so I assumed It was my doctors office that had messed it up. I call an confirm with my doctor that they had both called and emailed my prescription request over. I return to the store to try yet again to pick up my prescription only this time I waited thirty minutes in line, on the phone and talking to the pharmacist when he finally told me I would not be able get my medication till the next morning. Thank god my condition isn't life threatening without my meds or else I could've been seriously ill by not receiving my meds. I will never use Publix again for this exact reason. This is there on job and they can't get it right? I am very frustrated with your Publix store in North Port Florida. For months I have found the store to lack organization and basic items that I wish to purchase. Yet more madding is the fact that the 20 items or less checkout lanes are forever serving customers with enough items to feed a family of twelve or more. Cashiers, I am told, cannot say anything to shoppers about the fact that they should not be in this lane. Those of us with few items have to wait a long period of time to complete a purchase. I have shopped at other stores in nearby cities and none of these problems exist. If the store does not become better organized, follow posted procedures, and relate to customers needs, I along with several other neighbors are going to take all of our business across the street. Walgreen's charged twice for same prescription. Bank returned one of the charges. Walgreen's listed the return as a bad check. which has caused my reputation to be tarnished. This happened on July 17 and after a dozen e-mails they didn't fix their mistake until october. They reported to Tele-check that I had issured a bad check which embarrassed me when trying to cash a check at Publix Supermarkets. I am going to seek legal counsel to see if Walgreen's can be held liable for defamation. I am a local writer and this only gets better.